Even in a tough economic climate, small startups have found ways to create innovative products in shockingly short timeframes. So why should larger, more established companies take notice? Because they have everything to gain when they examine and adopt the process, strategies, and mentality of high-growth startups. The guidelines in this book will help companies shake the lethargy, bureaucracy, and power struggles that plague large organizations. At the heart of this comprehensive resource is a practical approach to innovation based on specific timetables, compensation structures, and financial investments. Respected thought leaders in lean startup methodologies, the authors cover successful enterprise development, development innovation labs, corporate venture arms, and acquisition and integration of startups. Don't be mystified by the success of startups. Master the methods of this new generation and compete on a level playing field. 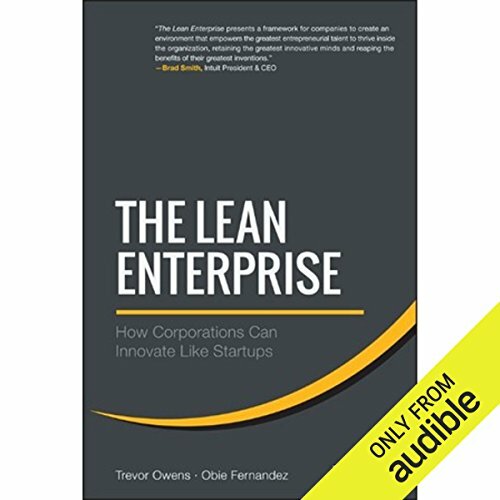 ©2014 Trevor Owens and Obie Fernandez (P)2014 Audible Inc.
What did you love best about The Lean Enterprise? 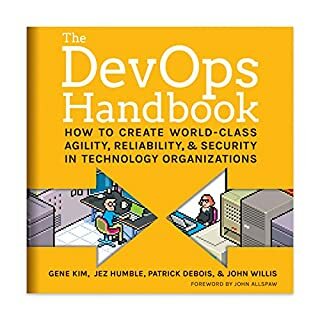 It gives a comprehensive overview of a topic that's at the edge of modern business operations and therefor a must-read for newbies in lean management as well as for professionals. 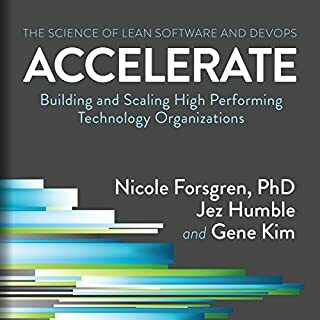 What other book might you compare The Lean Enterprise to and why? Which character – as performed by Steve Carlson – was your favorite? I've already read (listen) to this book twice as there are more concepts than can possibly be assimilated in one read through. If you are responsible for creating value in a large organization the concepts here are invaluable. Leverages Eric Reis and Steve Blanks Lean Startup and Customer Develop concepts through the lens of the Enterprise. What aspect of Steve Carlson’s performance would you have changed? The overall concept maps to me and my business specifically as a consultant working with large enterprise business to help them innovate like startups. 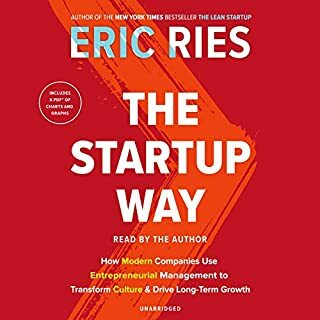 The authors explain very well different lean startup methods from the point of view of an enterprise and combine it with great case studies from lean startup in the corporate world. A must read for a company planning to rethink its approach to innovation! Listened while commiting. I need to get the printed version to take notes and dug deeper. Intuit is not an innovative company. So much lost potential with Mint. The overall thoughts and techniques seem like good ideas to experiment with. Great for influential individuals trying to ignite innovation in risk averse companies. innovation in modern times requires radically different thinking. this book lays out the fundamentals. 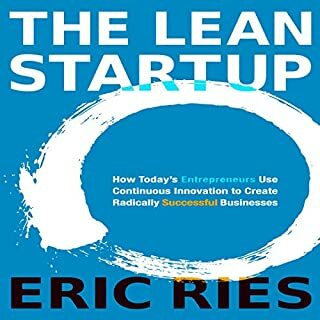 Would you consider the audio edition of The Lean Enterprise to be better than the print version? Not sure, didn't read the print. I didn't have an extreme reaction. As someone who teaches Lean in both Multinational corporates and SME's and having worked in both, I found Trevor's book very insightful and comprehensive. Its sprinkled with lots of great examples and is very much a "how to do it" book rather than just an academic treatise. I would recommend this audiobook to a friend, at least to hear intro chapters (1-4) and & final one - to understand what is going on in business these days and how it might change her/his career... 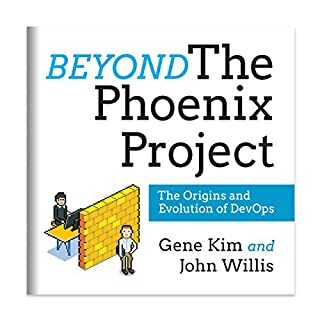 It is must read for anyone in charge of establishing innovation process in big companies or in charge of launching new products in big companies. I really value the thought leadership and the time Obie and Trevor have taken to write this book, leveraging on the work of others and their own experiences. The insight is truly motivational and confirms my own personal direction and journey. Look toward to meeting you some day! I enjoy Trevors Startup stuff. it is valid, comprehensive, understandable and immediately applicable. Give it a go! 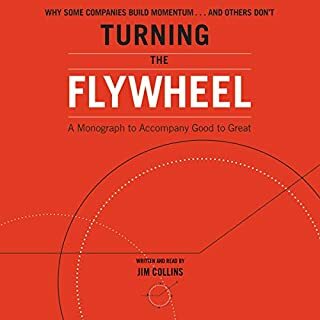 This book was a great blueprint for applying the lean startup method to an established corporation. I would thoroughly recommend it to anyone interested in fostering an innovation culture inside their organisation. I wish more company leaders had read this book.